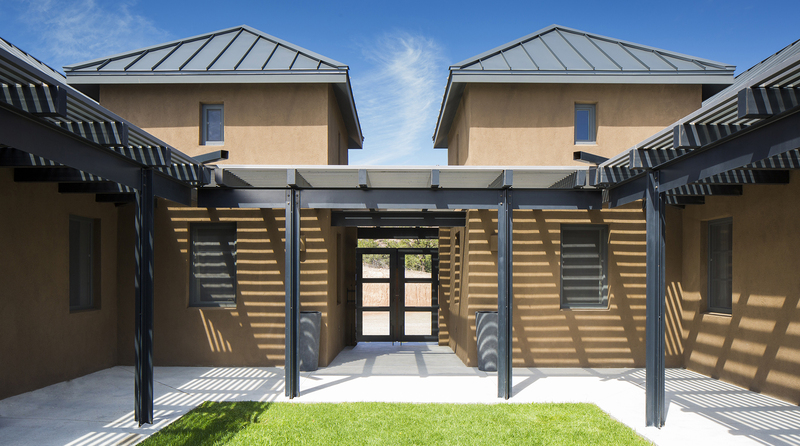 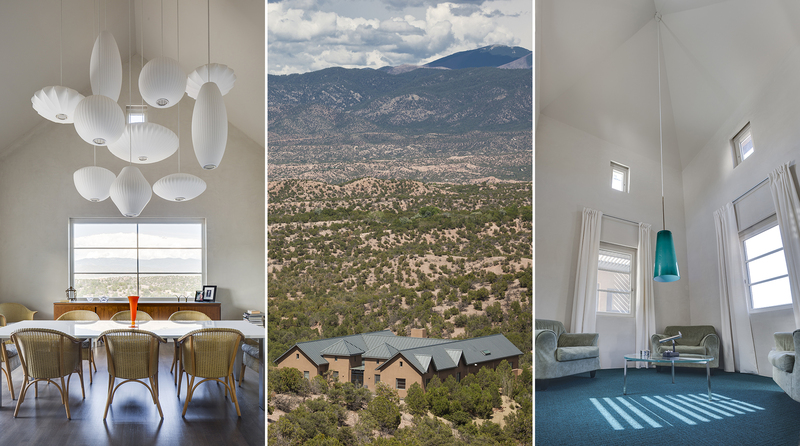 The underlying design intent for this home was to strongly reference the traditional Northern New Mexican style but to layer onto it a lean, modernist aesthetic. 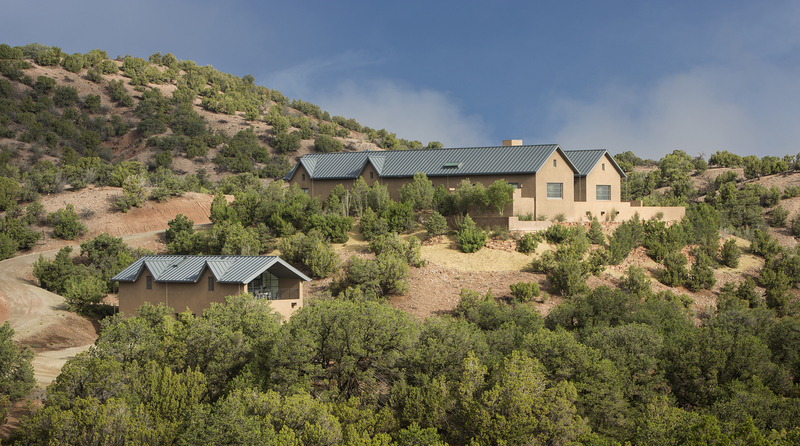 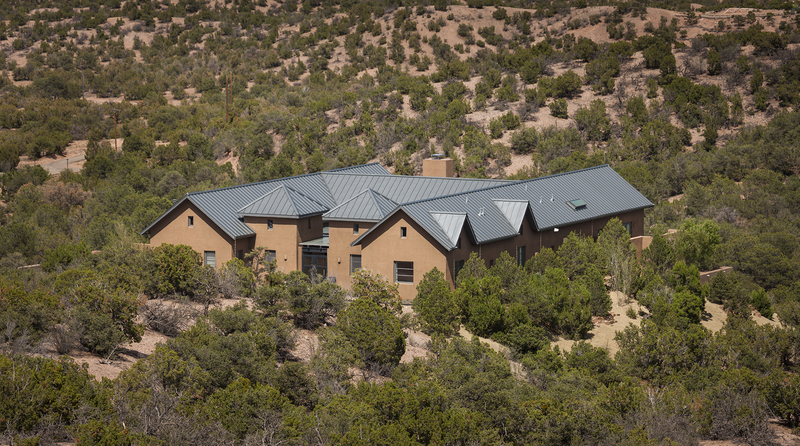 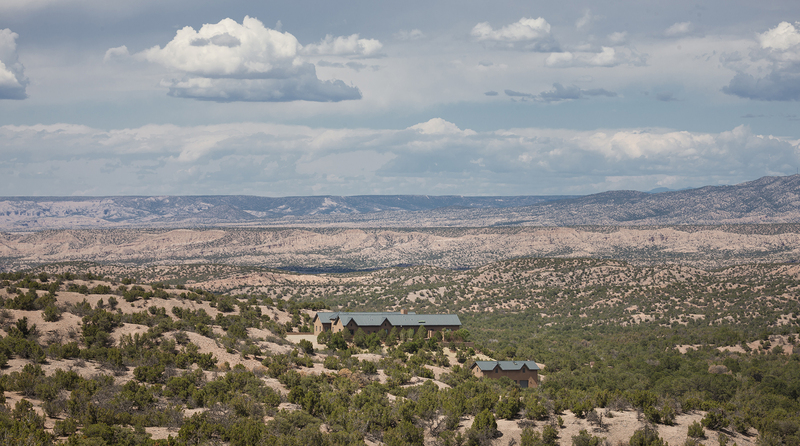 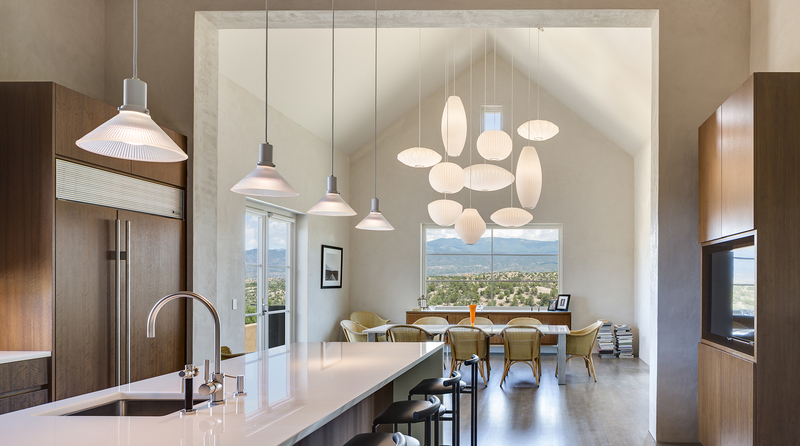 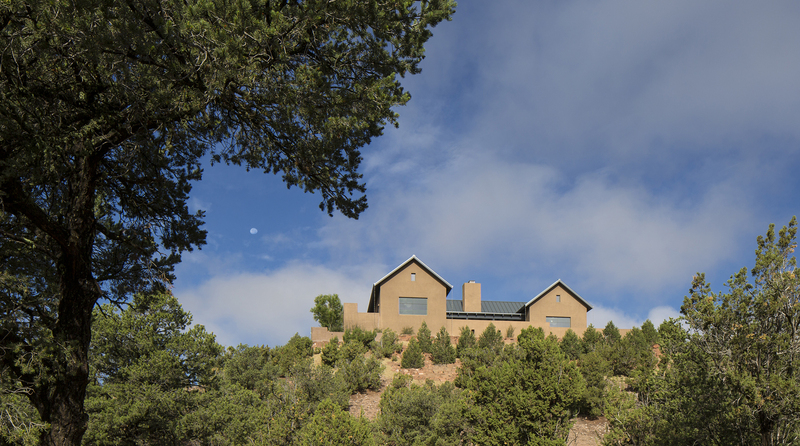 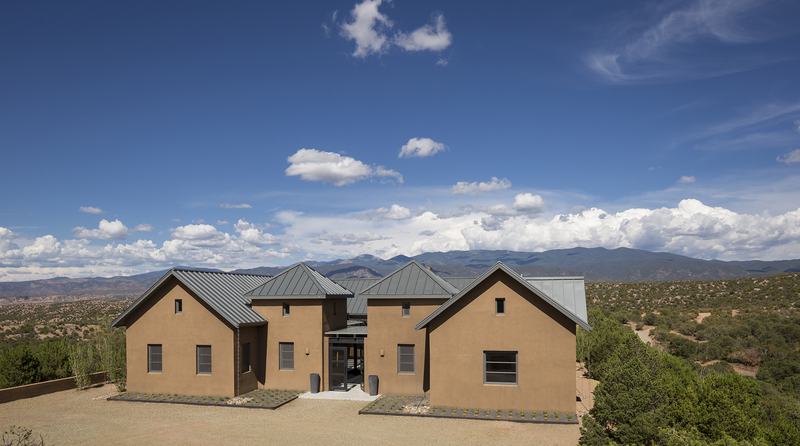 The exterior massing comfortably sits within the broad open landscape west of Santa Fe. 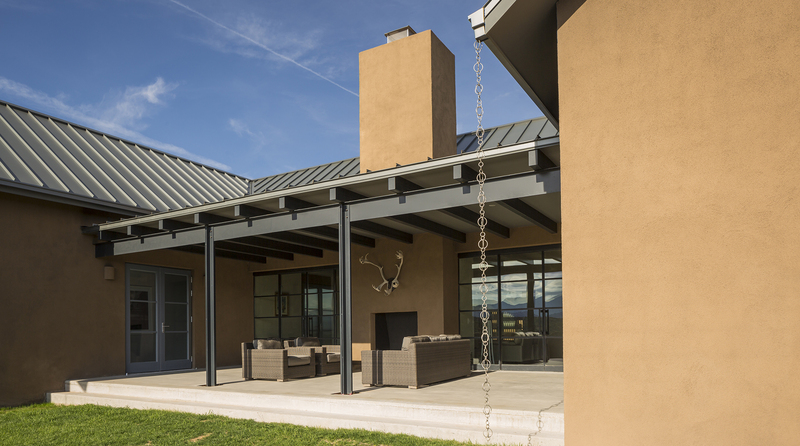 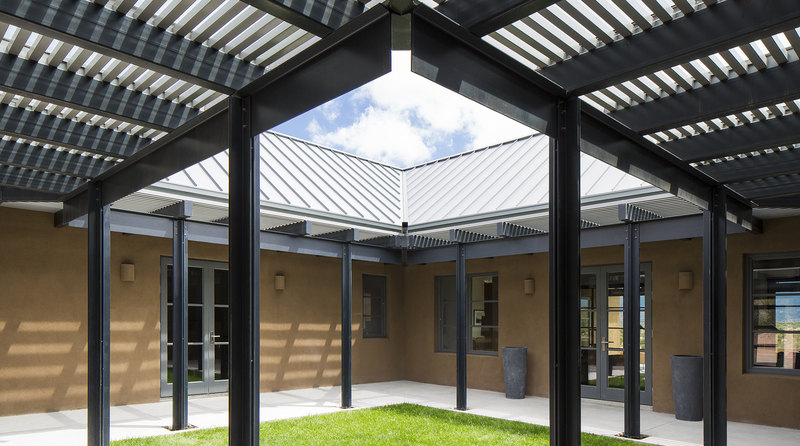 The pitched metal roof and stucco exterior is very much in keeping with the historic vernacular. 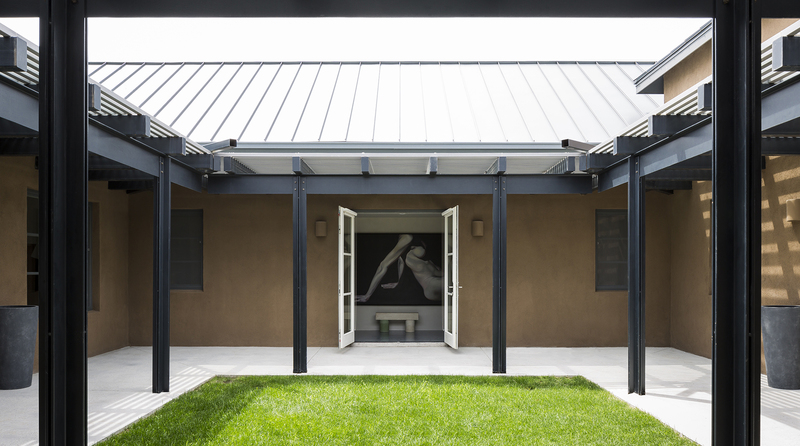 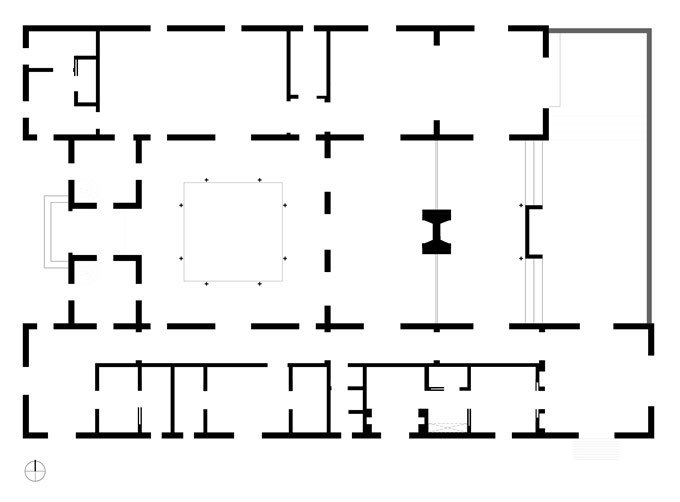 However, upon entering the enclosed courtyard a contemporary steel and glass portal is revealed, which sets up the design character for the whole house. 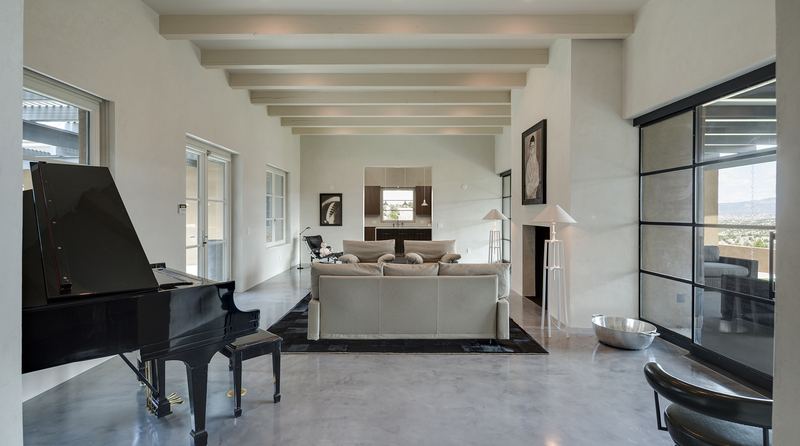 Upon entering the home subtle shades of gray and off white dominate. 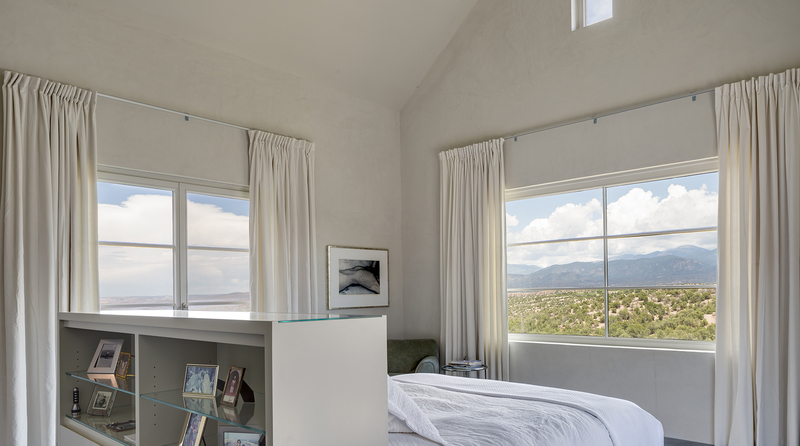 This, along with subtly proportioned rooms, gives the sense of almost being in a New York loft, except these rooms generously open up and out to elevated views of the Sangre de Christo Mountain range. 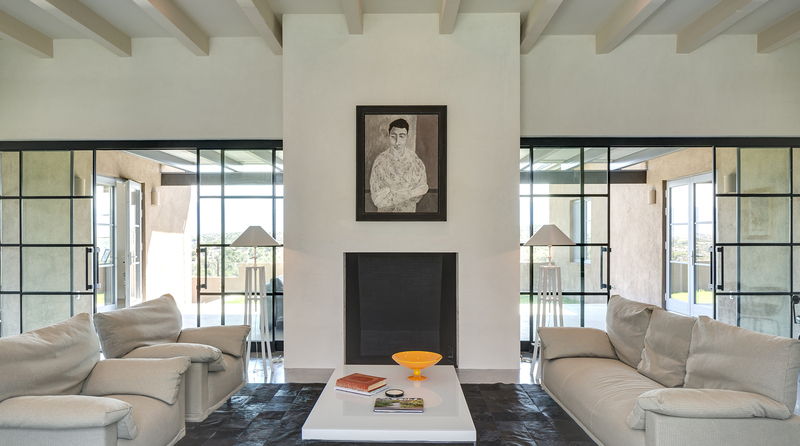 The success of the architecture is due in large part to the active involvement of Mr. Dejah and his desire for meticulous attention to detail at every turn. 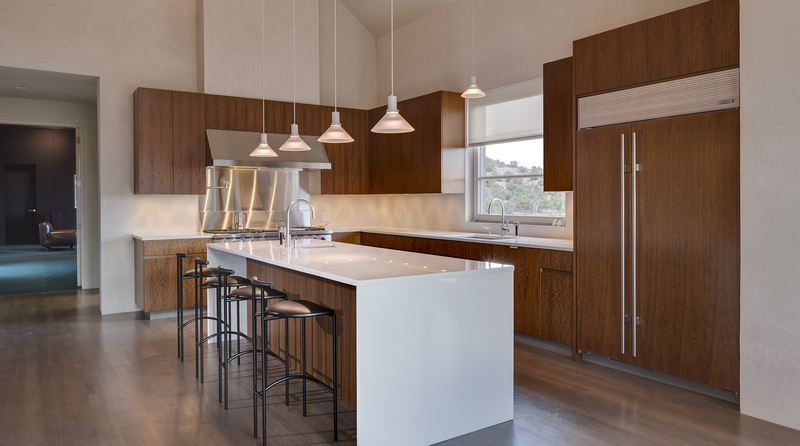 Be it the selection of elegantly simple glass countertops or the refined book matched casework, or the excellent champagne served at the completion of the project.